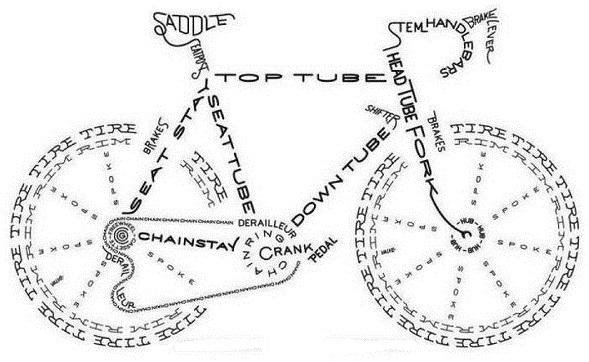 When it comes to bike maintenance, the most important things to remember are your ABC’s – Air, Brakes, & Chain. Air: To check your air pressure, loop your fingers under the wheel rim, and press down on the tire with both of your thumbs (one over the other). The tire should remain stiff. If it gives at all when you press, your tires are underinflated, and need more air. Properly inflated tires are less likely to become flat, and protect against rim damage. It also makes it easier to pedal, and increases the lifespan of the tires. How do you know how much air to put in your tires? The air pressure will be printed on the sidewalls of the tire, as a number PSI (pounds per square inch). Sometimes, the tire will show a range of numbers, (ex: 40-60 PSI). If it is a range, pump it up within the range until the “thumb test” shows no give. Do not overinflate the tires, as that can cause blowouts. Where can you find a bike pump? See Campus Resources below. How do you fix a flat tire? See tutorial. Brakes: When you squeeze your front brake lever while standing next to your bike, you should not be able to push the bike forward - the front wheel will not roll, and the back wheel will lift off the ground. Similarly, while squeezing the back brake lever and trying to push the bike backwards, the back wheel should not roll and the front wheel will lift off the ground. Periodically look at your brake pads and make sure they’re not becoming too worn. Both brakepads should also connect with the rim at the same time. Squeeze the brakes and check when the pads hit; if there’s a difference, your brakes are probably due for an adjustment. Chain: The chain of your bike should be secure and somewhat taught (but not tight), and not hanging loosely. If you ever touch your chain and your fingers don’t come away greasy, you’re not using enough chain oil. Chain oil is critical to keeping your bike running smoothly, and will keep the chain from rusting, wearing out, or getting gunked up with dirt. Chain oil is available for you to use for free at Free Cycles Community Bike Shop, or for a small fee at the Outdoor Program or other bike shops. You can buy a bottle to keep for yourself for usually $5-$8. Proper fit: the key to enjoying your bike is being able to ride comfortably, and being comfortable means having a bike that fits your body. When straddling your bike, you should be able to stand over the top tube without it touching you and with both feet planted on the ground. When seated on the bike, you should have to be on your tip-toes to touch the ground, or have to lean the bike slightly to plant your foot. This ensures maximum leg extension, and therefore less effort with each pedal. The easiest way to change the way your bike fits is by adjusting the saddle - meaning to raise or lower your seat. There's a bike workshop on campus for students and employees to use, offered as part of the Outdoor Program. 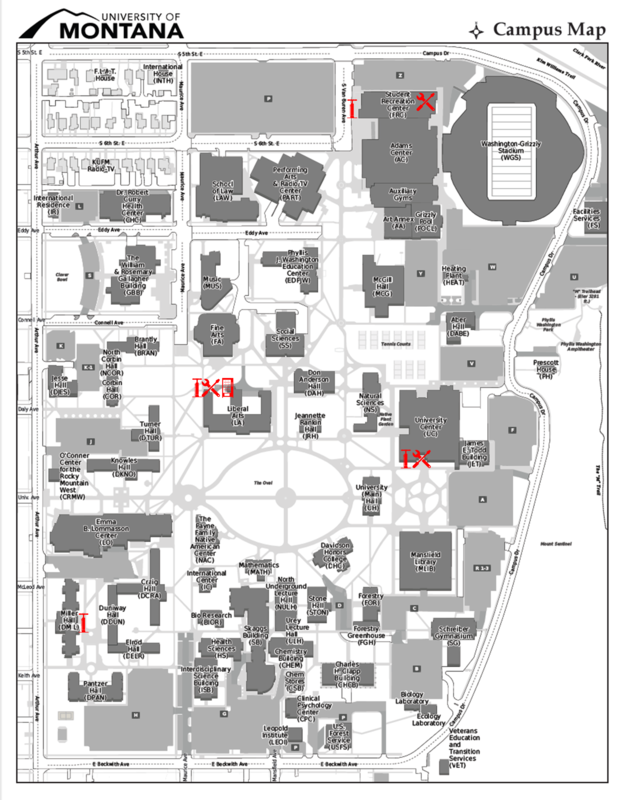 It is located in the northeast corner of the Fitness & Recreation Center. Tools and bike stands available to use for do-it-yourself maintenance for $5 per half hour, or mechanic assisted maintenance for $10 per half hour. Bike fix-it station with basic tools, air pump, and a vending machine located on the northwest corner of the Liberal Arts Building. Bike fix-it station with basic tools and an air pump at the south entrance of the University Center (roof overhead for rain protection). Air pump near the east entrance of Miller Hall. Air pump near the west entrance of Campus Recreation. Free Cycles is a nonprofit that offers hour-long "Bike Well" courses three times a week (Wednesday 5-6pm, Friday 1-2pm, Saturday 11-12pm). By taking this class and then volunteering four hours of your time, you can build your own bike for free. Free Cycles also has open shop hours every Tuesday-Saturday from 10am-6pm, and offers all the knowledge, tools, parts, and assistance you need to confidently handle your own bike maintenance, free of charge.